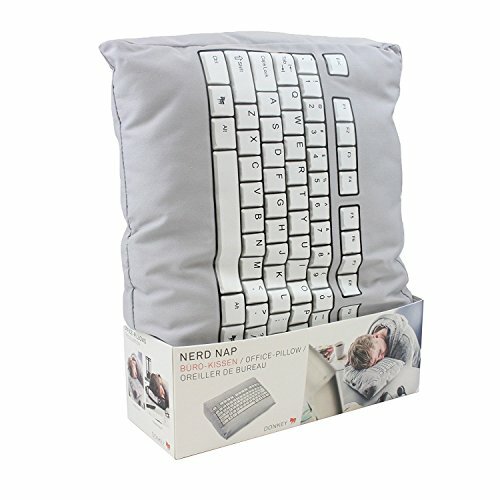 Computer Keyboard Pillow - Moar Stuff - You don't need it but you know you want it. There’s been a lot of research that supports the importance of the power nap and how it can improve business productivity. In fact, many innovative companies are beginning to encourage their employees to take short naps. 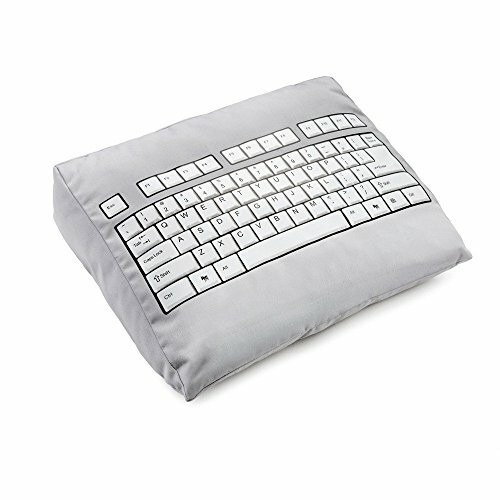 However, even if you can sneak one in at work, you can’t go into a meeting with QWERTY creased into your forehead, so swap out your keyboard for this comfy Computer Keyboard Pillow. 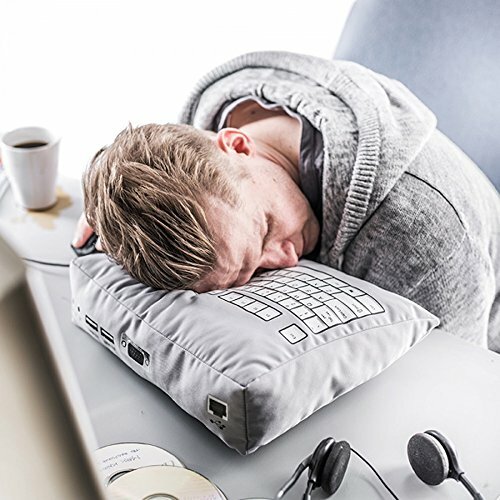 With this pillow, you can sneak in a power nap just before that boring as hell sales meeting coming up in a couple of hours. You know the one… It’s the meeting where the presenter’s voice could cause a hyperactive hummingbird on meth to nod off. 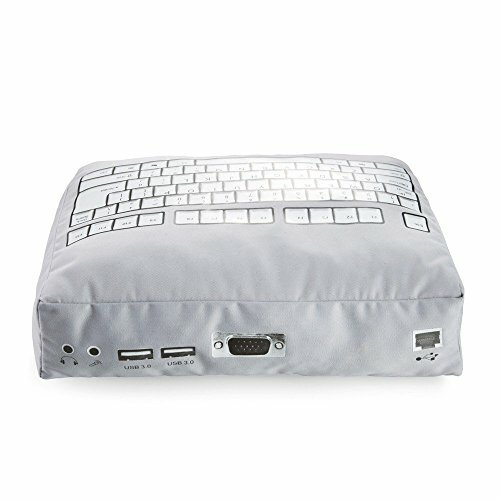 The grey cotton shell has a full QWERTY keyboard printed on it along with a bunch of ports and connectors so it really kinda looks like a keyboard. 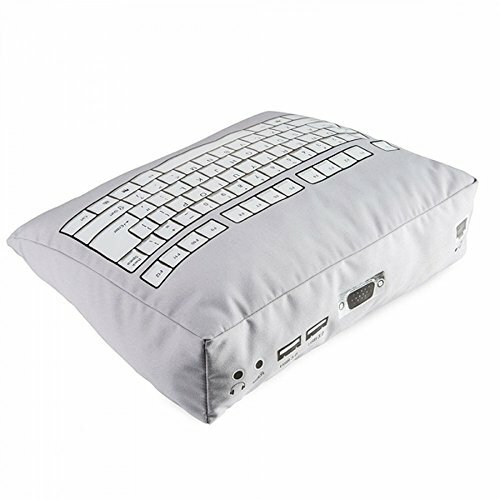 It’s about 2.8 (10 cm) inches thick so you can really get comfortable when using it at your desk. The fill is a nice, soft polyester so it won’t be a problem for folks with allergies. Get this pillow for your office and you can power nap your way to a better performance review and a bigger raise. At least, you can dream about it, right? Happy napping! Of course it makes a great gift for yourself, spouse, teacher, employee, or boss. Dimensions 13 x 10.6 x 2.8 inches. Perfect for the executive power napper!